Doodlebug Design Inc Blog: Petite Prints Traveller's Notebook Pages & Card | with Nathalie. 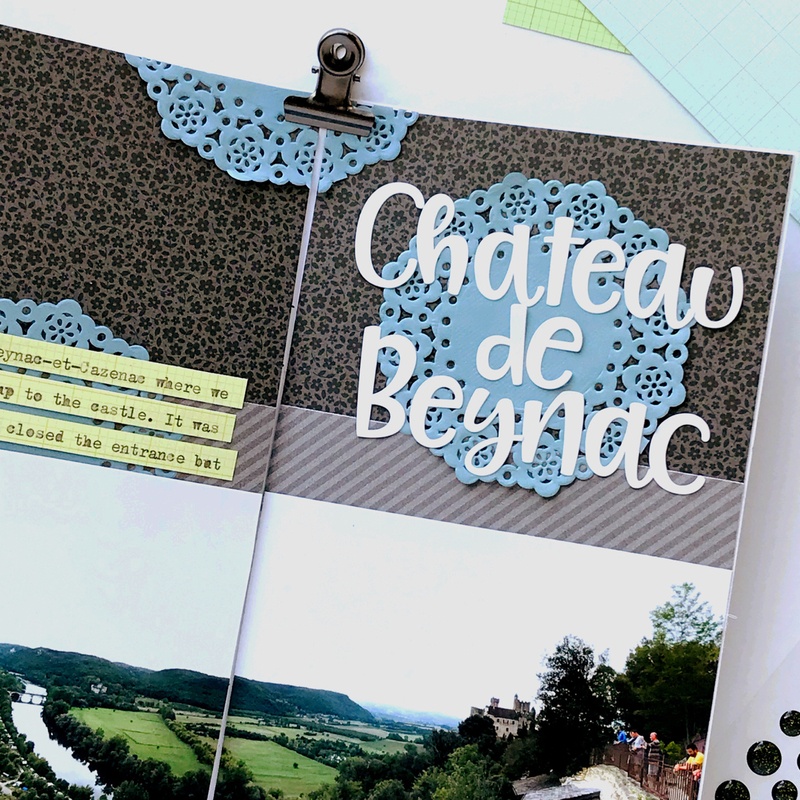 Petite Prints Traveller's Notebook Pages & Card | with Nathalie. Hello, I am here today to continue our feature of the Petite Print papers and in particular the 6x6 paper pads. I love the tiny patterns, the thickness and the rainbow of colors in these pads! Not only that, they are perfectly scaled for traveler's notebook spreads too. To create these pages, I pulled several dark grey papers: the floral one is from the Floral-Graph Rainbow Petite Prints 6x6 pad and the dot and stripe ones are from the Dot-Stripe Rainbow Petite Prints 6x6 pad. The journaling and torn edges on the bottom of my photo are done with two papers from the Floral-Graph pad (which is definitely my new favorite). I used several blue mini doilies as embellishments including one supporting my title, spelled with Abigail alphabet stickers in white. Enamel dots in Beetle Black add the perfect finishing touch. 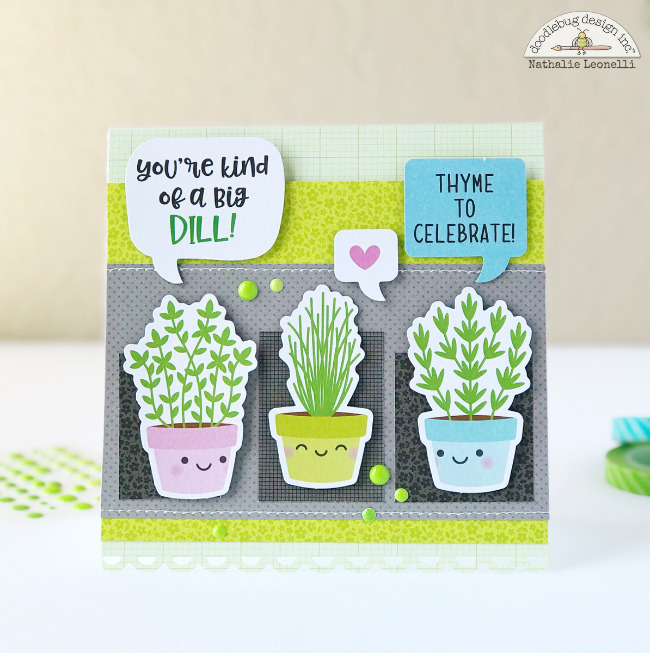 To the Petite Prints papers, I added die-cuts from the So Much Pun collection (Chit Chat and Odds&Ends packs) plus a few enamel dots. I love how easy and fun it turned out to be! Do not hesitate to purchase those 6x6 Petite Prints pads because you will get tons of use out of them! Great job!! !Can you please tell me the name of the font? Thank you! 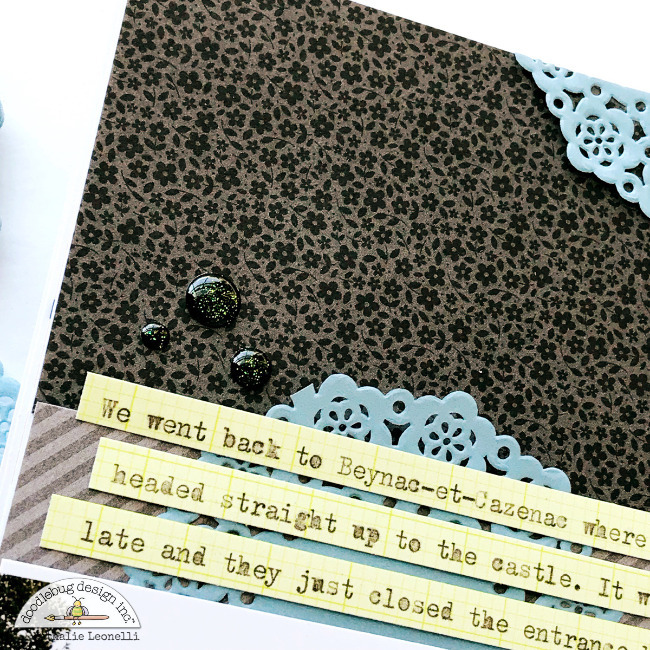 Love this idea, going to have to scraplift for my recent trip!